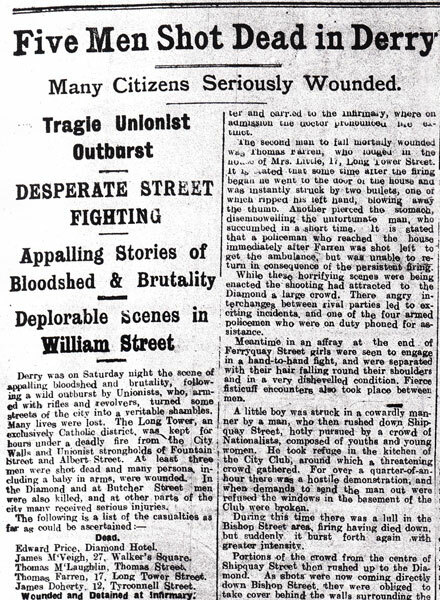 In April, fights and scuffles broke out between the Catholic Bogside area and Protestant Fountain area after Republican prisoners were moved to Bishop Street gaol in Derry. 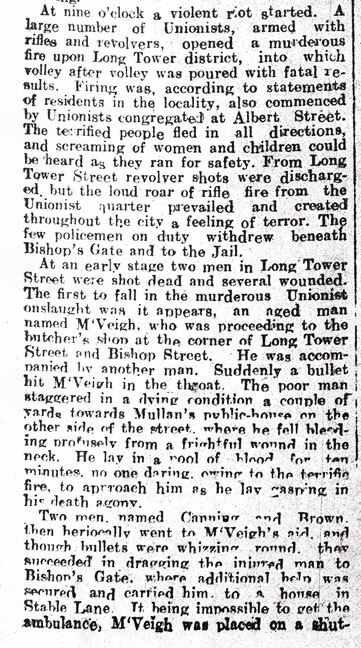 Shots were fired into the Bogside and the police made bayonet charges against Catholic rioters. There was further trouble in May when a four hour gun battle between police and the Irish Republican Army (IRA) resulted in the death of the local head of the Royal Irish Constabulary Special Branch. The Ulster Volunteer Force (UVF) reorganized itself in the area and mounted road blocks. 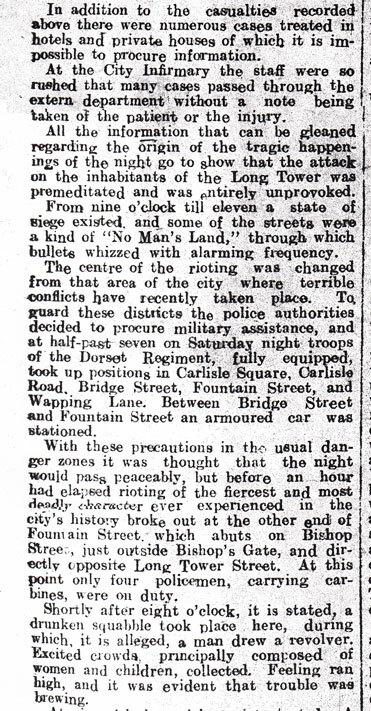 The following month, fierce rioting erupted following an attack on Catholics on 18th June. 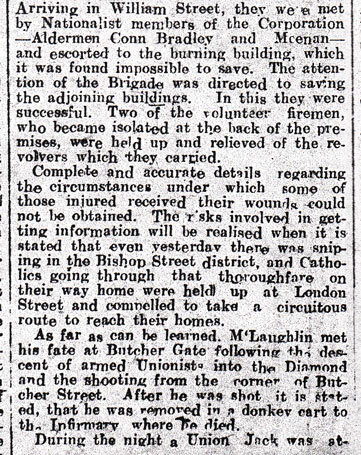 The UVF seized control of the Diamond and Guildhall Square and started firing down on Catholic areas from the city walls. The IRA counter-attacked but were driven back by the UVF. Fifteen hundred troops arrived in Derry. They imposed a curfew and deployed machine guns throughout the city. 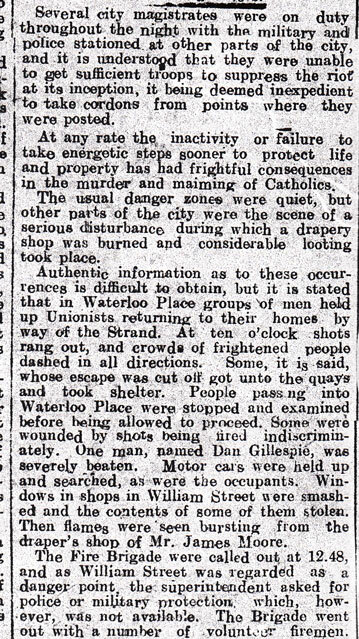 However, shootings and reprisals continued and the death toll eventually rose to 40. 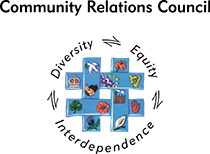 The army was badly overstretched and co-operated closely with the UVF. 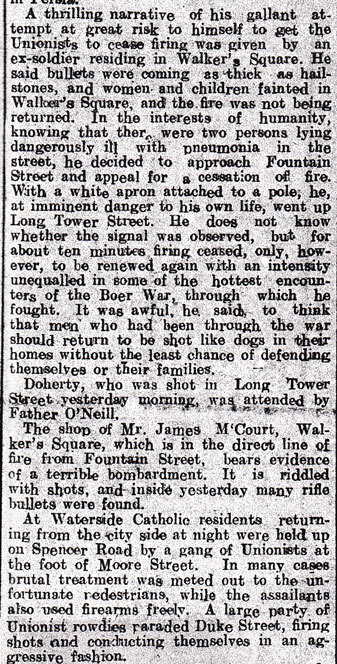 Headline from The Derry Journal, 17th June 1920.